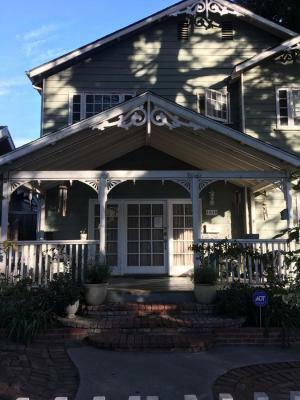 Lock in a great price for Elaine's Hollywood Bed & Breakfast – rated 9.2 by recent guests! This was the second time we stayed at Elaine’s and it was just as wonderful as the first time we stayed! Elaine is great! She’s very nice, friendly, & puts out a great spread for breakfast. Her house is cozy & welcoming. We always look to see if her place is available first when we visit LA. 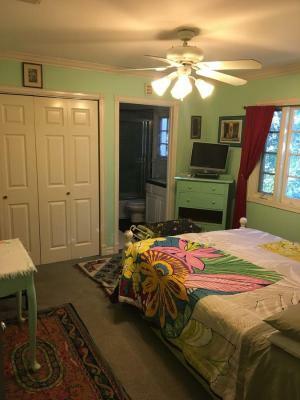 Nice homey stay conveniently located close to Hollywood and attractions. Super convenient location. Elaine is a very nice hostess and served a super breakfast. 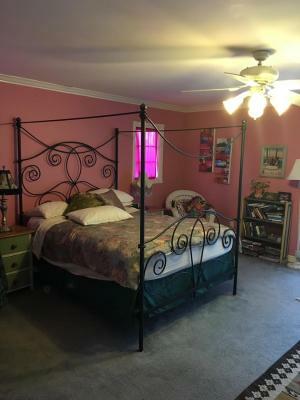 Elaine’s is charming and comfortable in addition to being well located for exploring. Great location. Quiet & safe neighborhood. Friendly host. Great breakfast. Felt homey and Elaine was quick to accommodate all of us. The location can’t be beat. My niece and I stayed at Elaine's one night while visiting Hollywood. Her home is in a quiet residential neighborhood, about a mile from The Hollywood Museum. Our room / bathroom were clean, quiet and comfortable. Loved her Continental breakfast, and particularly her (press) coffee, which was excellent. Elaine was lovely and down-to-earth, and a very personable hostess. Will stay here at our next opportunity. Great location, the room was very comfortable, Elaine was very friendly and the breakfast was delicious. Really recommend this place! The hospitality was warm and we felt like at home. We were a couple with two kids and the room was big enough for us, with a big balcony. 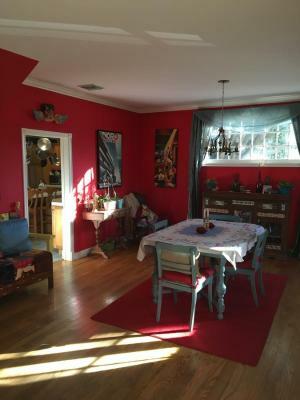 Excellent location - quiet and near Universal studios and Hollywood boulevard. Elaine was very kind and was informative. 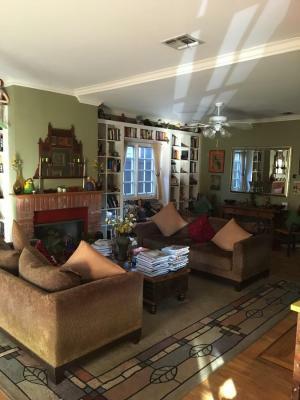 Offering a garden and a terrace, Elaine's Hollywood Bed & Breakfast is located in Los Angeles, not far from Hollywood Walk of Fame and Dolby Theater. Free WiFi is available. All units feature air conditioning and a flat-screen TV. There's a fully equipped private bathroom with bath and free toiletries. Continental and buffet breakfast options are available each morning at the bed and breakfast. Sunset Strip is 1.3 miles from Elaine's Hollywood Bed & Breakfast, while Hollywood Bowl is 2 miles away. The nearest airport is Hollywood Burbank Airport, 9 miles from the property. 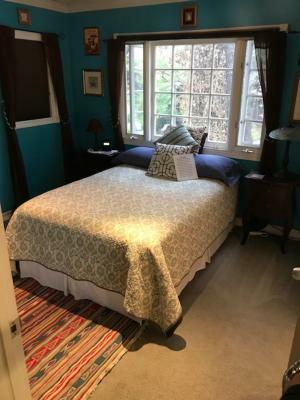 When would you like to stay at Elaine's Hollywood Bed & Breakfast? This double room features a mini-bar, cable TV and bathrobe. 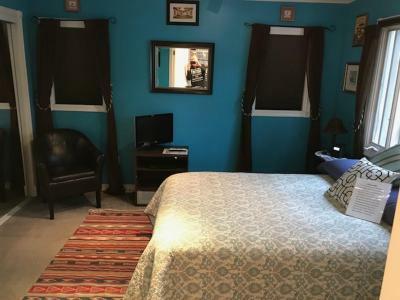 Area Info – This neighborhood is a great choice for travelers interested in Universal Studios, theme parks and sightseeing – Check location Excellent location – show map Guests loved walking around the neighborhood! House Rules Elaine's Hollywood Bed & Breakfast takes special requests – add in the next step! All children under 2 years are charged USD 15 per night in a crib. For guests who are staying 5 days or more please be advised that the property requires a deposit for the first night. Please inform Elaine's Hollywood Bed & Breakfast of your expected arrival time in advance. You can use the Special Requests box when booking, or contact the property directly using the contact details in your confirmation. The bed was super comfy! Our host, Perry, was very friendly and helpful. And breakfast was delicious with a wide variety of goodies! Elaine’s place is a home away from home. I can’t fault it! Perry looked after me so well, and his breakfasts are seriously good. A lot of love and effort goes into this b&b. Fantastic location too. Perfect location right in the heart of Hollywood. Perry who took over Elaine while we there was great and really helpful ! Breakfast was amazing , lots of choice ! The property is in need of redecoration and looks very tired. Although only Continental, the breakfast was very good. Wonderful place to stay when you visiting LA. Very nice and cozy room, close to main attractions of this amazing city! I strongly recommend this B&B hotel! It got very hot in my room at nights - everything else was great. This was actually my very first time to leave in an bnb with my husband, but I MUST say that I was so lucky to choose Elaine's as my first try!!! We stayed there for 3 nights, everything was quite perfect and out of my expectation, just feel at home. The house was located in a very safe and quiet community, closed to Hollywood. We even came across a bunch of people making movie in our neighborhood. The house was well decorated, very cozy and sweet, I can imagine how cute and lovely the hostess is. Besides, parking was not a problem at all, Elaine has her own garage with two parking lots and another 2 just outside the house in the street. It was a great pity that Elaine was out of the country during our stay, but we are so lucky to have Perry host us, a real gentleman, with kind and warm-hearted. I also love the two lovely dogs, very nice!!! My room was the purple one, just well matched with my sweater color when I checked in, aha~Everything in the room was very clean, well prepared and equipped, with separate bathroom and even a lovely closet! There are many adornments and photos hanging in the walls, very sweet. Every morning, Perry prepared us with good homemade breakfast. He is also a kind talker, we chatted about travelling and life during breakfast, he even helped my husband to search on the internet about where to buy the American jacket~ Last day, Perry provided us an umbrella in the morning in case of rain, which do save us great trouble! This is my longest review in Booking by far, because Elaine's deserve it. How I wish we could stay longer there...It'll definitely be my must-stay in LA next time. Really warm hospitality and you can get all the helps you need including recommendation for places to go and even the weather forecast from the host. The breakfast was good, a variety of cereals, bakery and berries. Quiet neighbourhood considering it is within a walking distance from hollywood walk of fame. We drove the car around so it was a very perfect place to stay since it is near beverly hills, hollywood, griffith observatory, and all attractions that we've planned to go. Excellent location, friendly, cosy and quiet. We loved the breakfast and our host was friendly and very helpful with travelling tips. Would recommend, good value for money. It felt like being at home away from home. We felt very welcome. Great breakfast. Great location, not far from Hollywood Boulevard.